Following the suspension of visa services between the USA and Turkey, the national airline has introduced changes to its change and refund procedures. 1) Reservation changes can be made free of charge. The validity of tickets can be extended to October 31st, 2017 (inclusive) without paying any price difference or penalty. 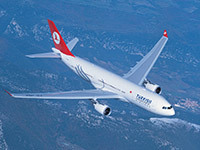 4) These implementations are applied to only Turkish Airlines and AnadoluJet flights. These arrangements do not affect passengers just transiting in Turkey.